AgeCheck for Magento introduces an age verification process to your Magento Store. 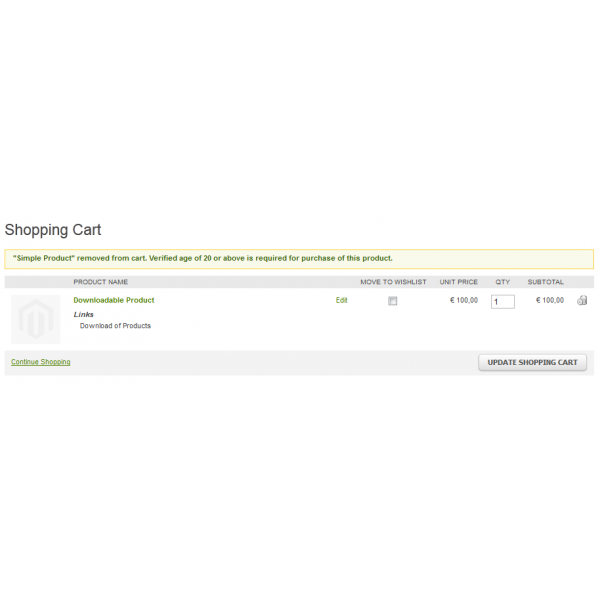 To force your visitors to register or login prior to adding a product to the cart, or performing checkout (to ask for his Date Of Birth before first purchase). 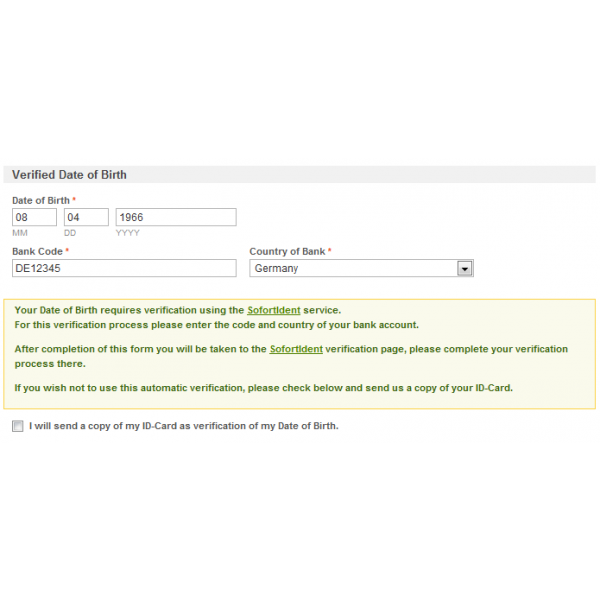 To perform a optional automatic Age Verification (for customers from Germany) using the SofortIdent web service. This extension provides a interface to the SofortIdent service only, and otherwise unrelated to the SofortIdent service provider. 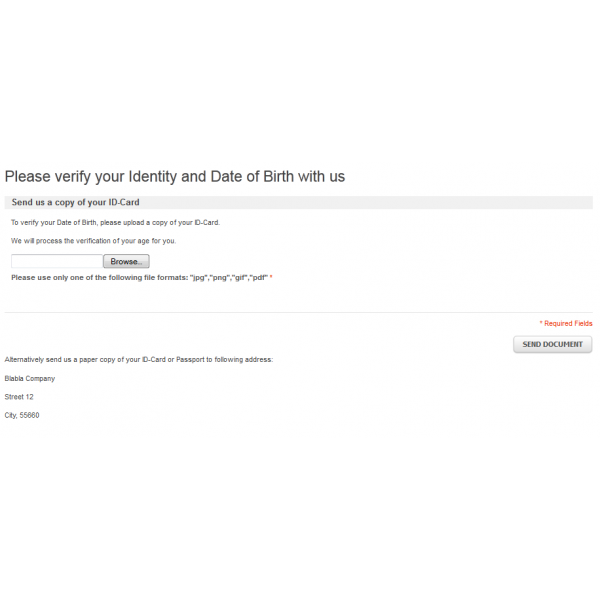 To allow customers to upload a document for verification of his Date Of Birth from your stores administrator backend. Such requests are monitored and a store notification (with optional email message) is created for each of these requests. 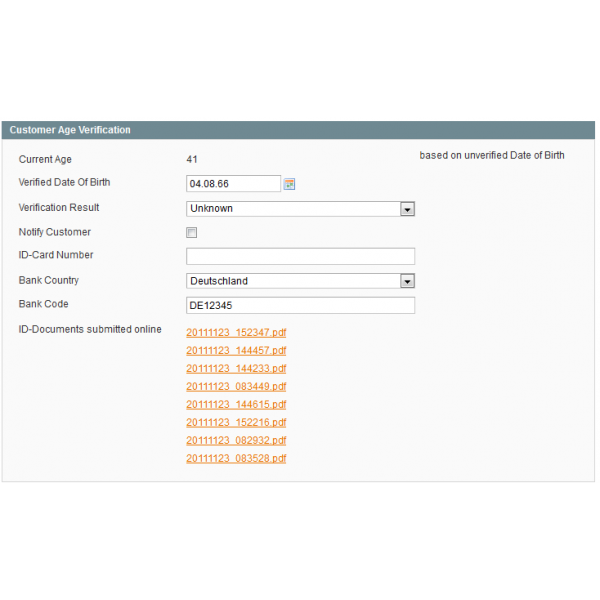 The result of a manual age verification using a submitted document is automatically sent to the related customers email address as store transactional email. A regular maintenance update with code improvements and minor changes. This is a regular maintenance update, also having now the configuration option to have the Age Verification process optional only when it is required for purchase of a age limited product. This is a regular maintenance update, now also allowing multiple files to be uploaded and Customer Attributes used in form fields. This is a regular maintenance update of this extension. We also have added a way to test your SofortIdent configuration from the extensions configuration options. This is a regular maintenance update containing improvements to the Age-Verification process when having it enabled as when required by the purchased product.